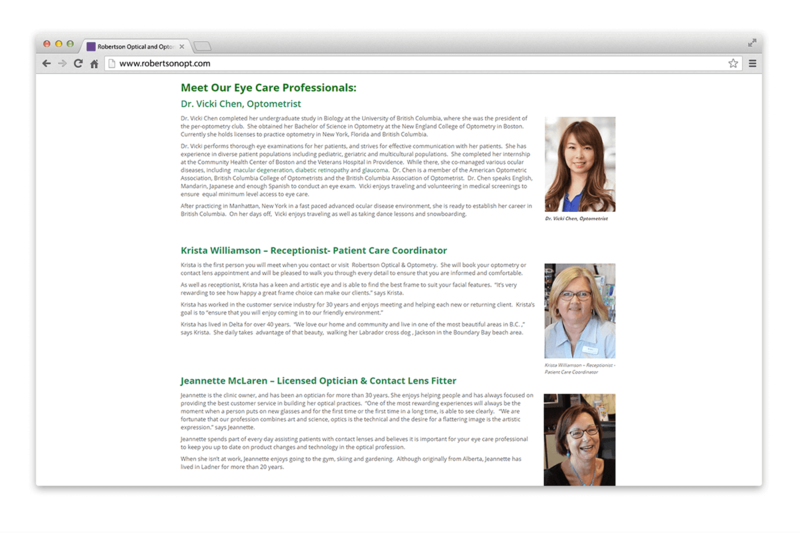 Robertson Optical and Optometry | NetClimber Web Design Inc.
Having designed their previous website, Robertson Optical and Optometry trusted NetClimber Web Design when it came time to revamp their website. 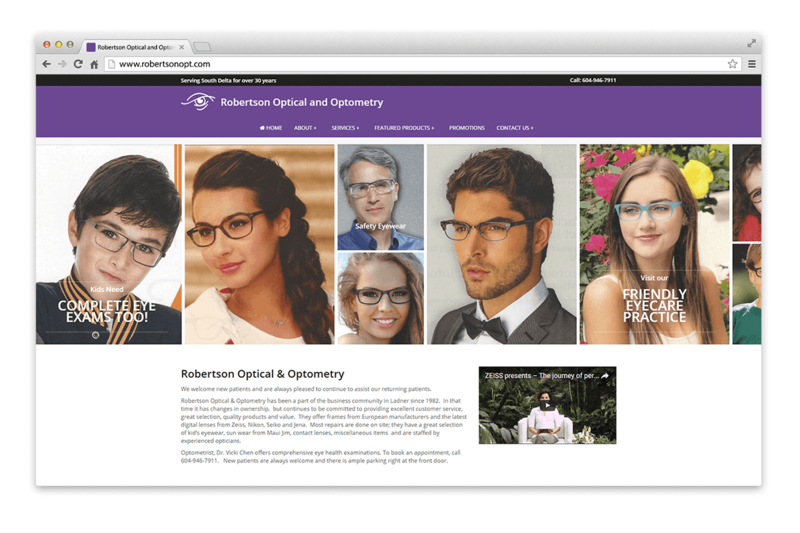 Robertson Optical and Optometry’s new WordPress website allows for greater flexibility than their previous static website. 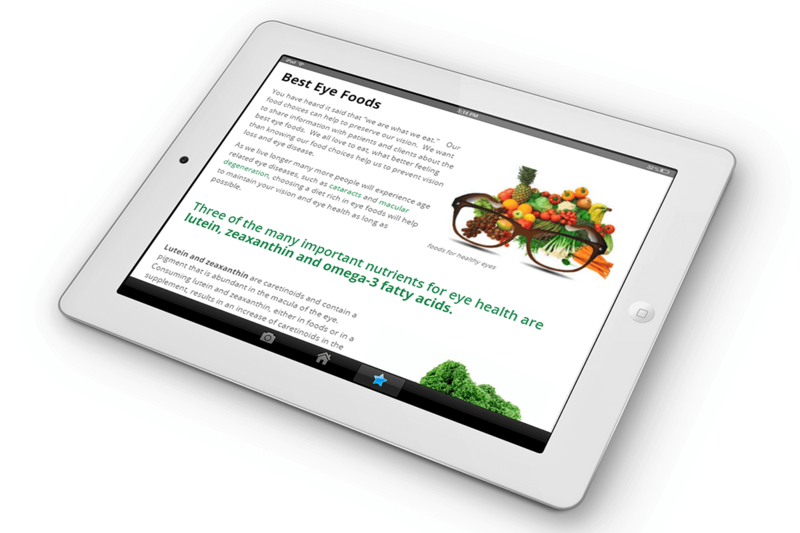 The new site is fully responsive, and allows them to update and change their content where ever and whenever they need. 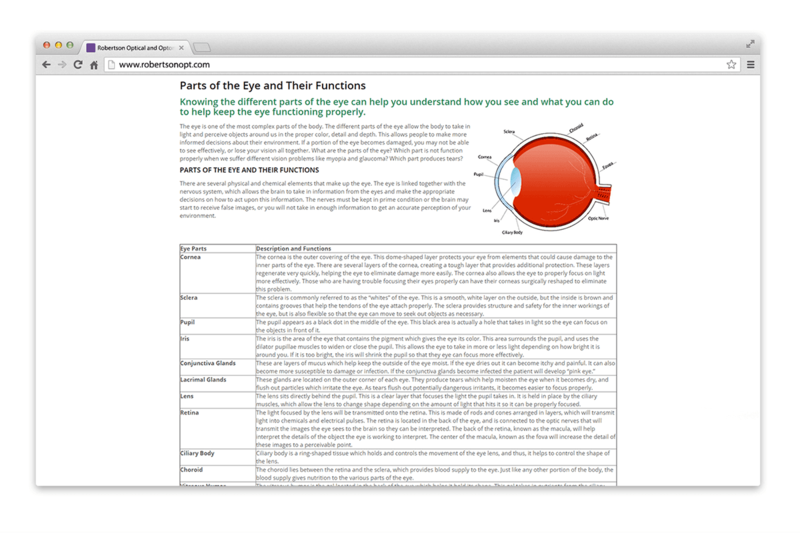 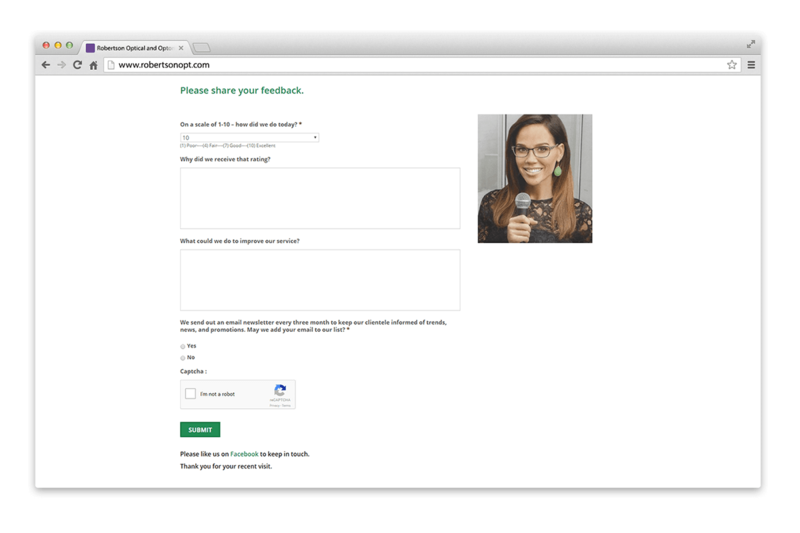 The WordPress features a dynamic slider, advanced forms for online booking and customer feedback, and will allow Robertson Optical and Optometry to eventually add a shop online section.